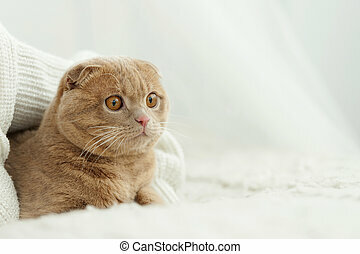 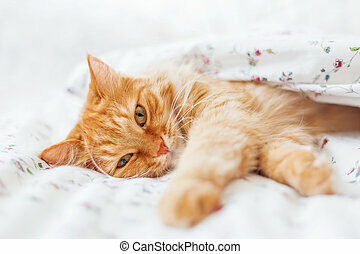 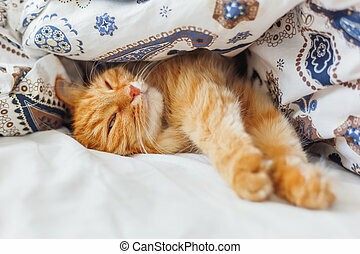 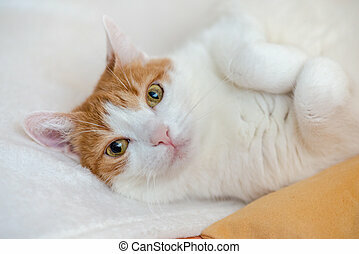 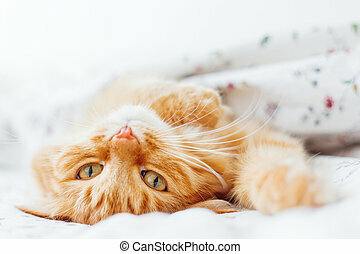 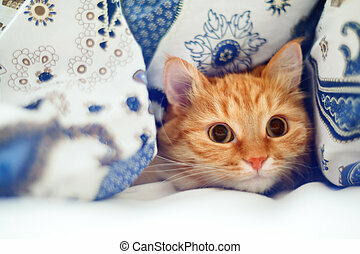 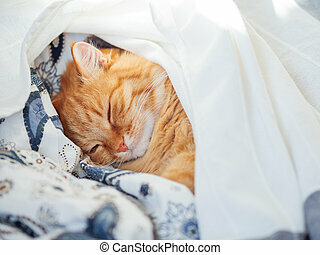 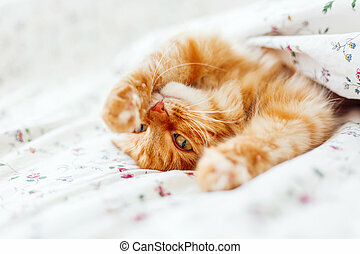 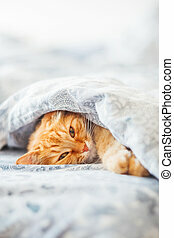 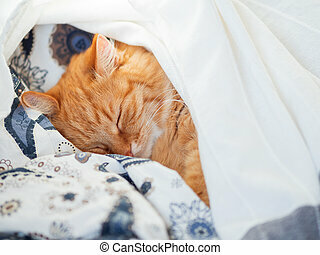 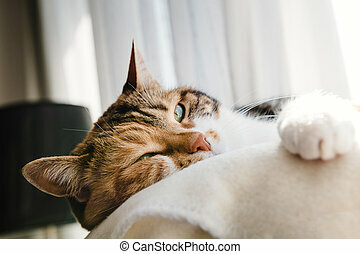 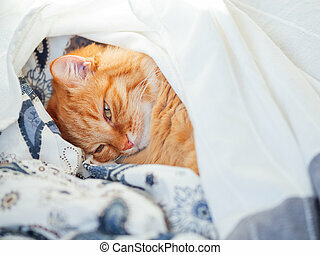 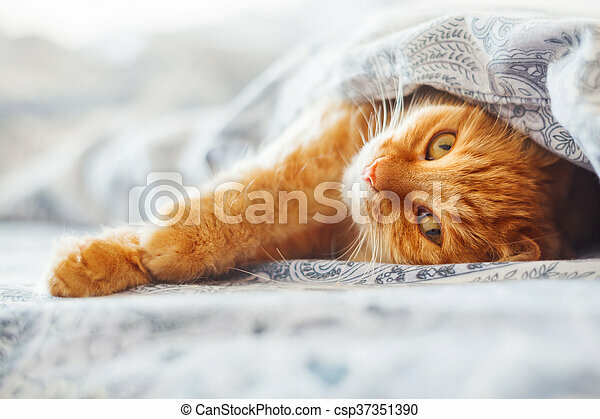 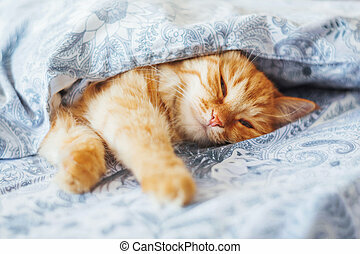 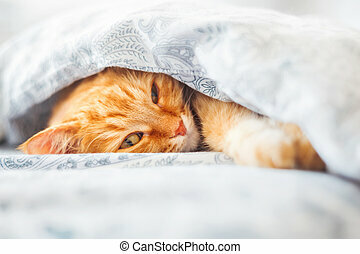 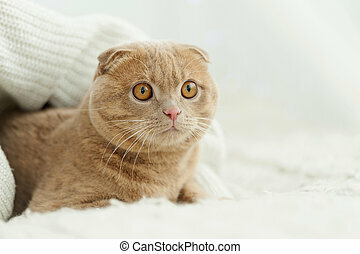 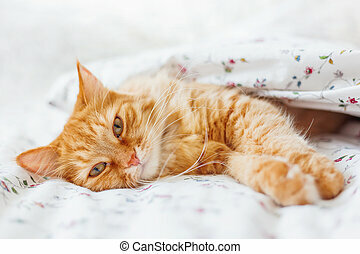 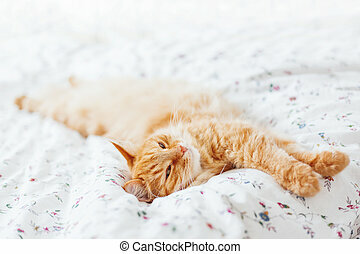 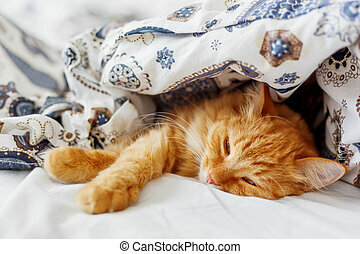 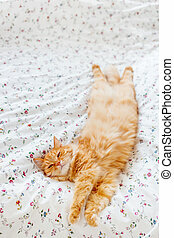 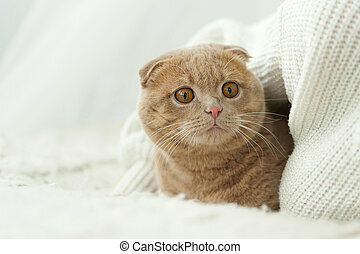 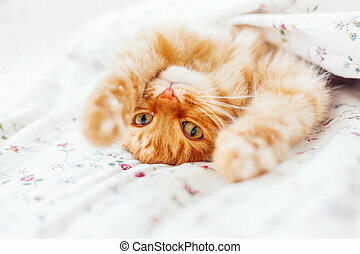 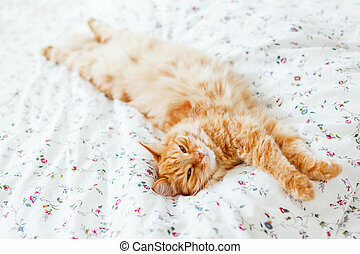 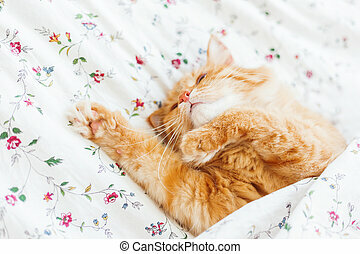 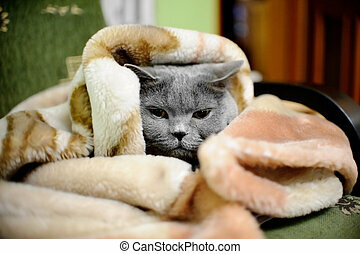 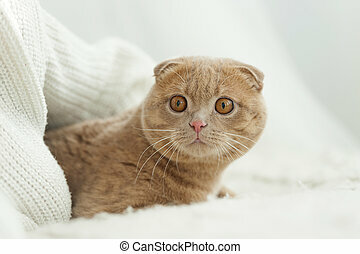 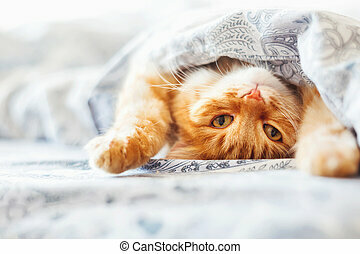 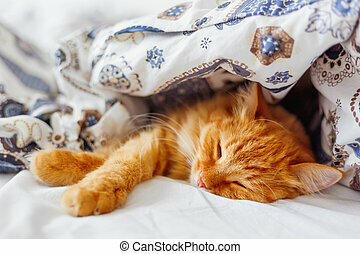 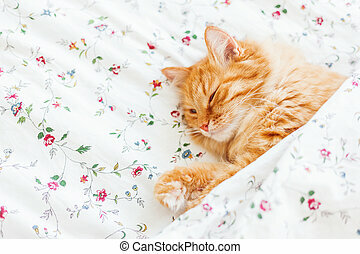 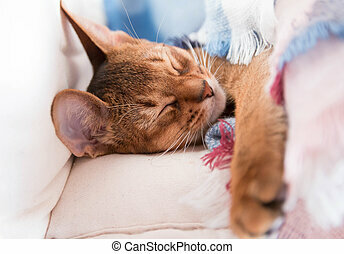 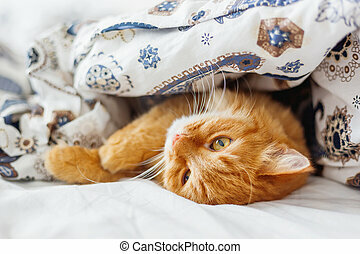 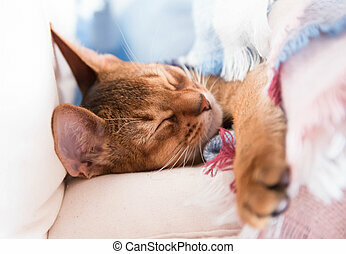 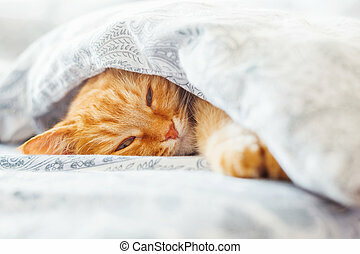 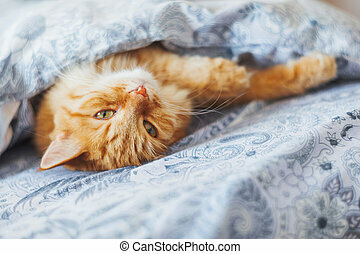 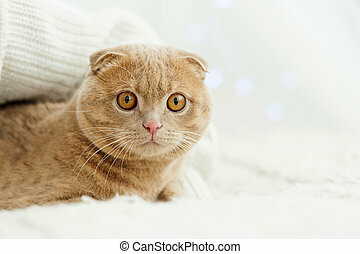 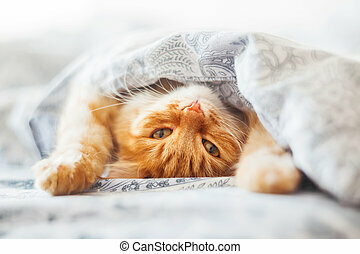 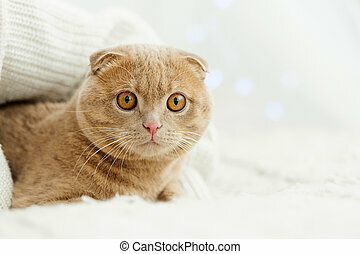 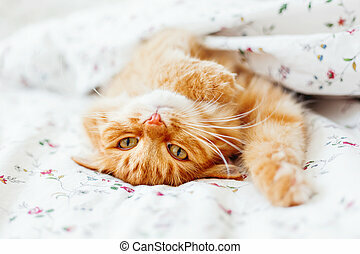 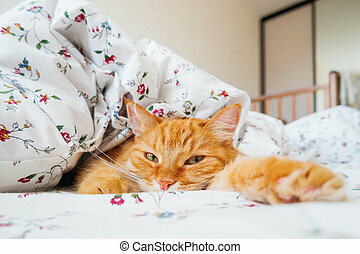 Cute ginger cat lying in bed under a blanket. 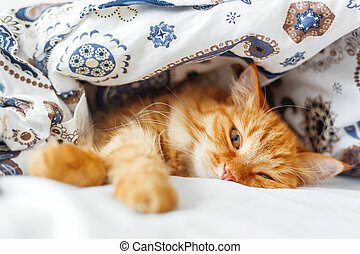 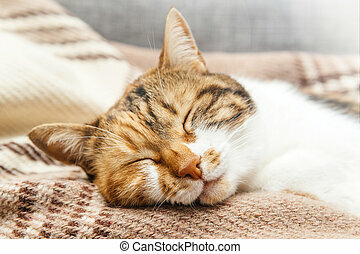 fluffy pet comfortably settled to sleep. 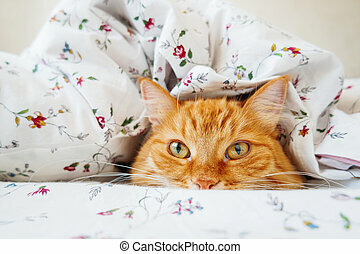 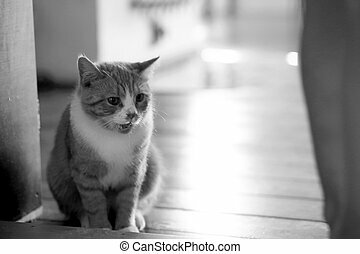 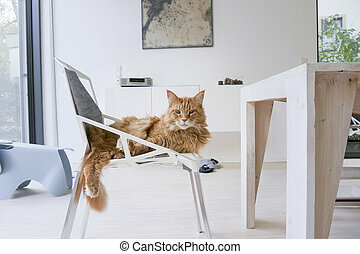 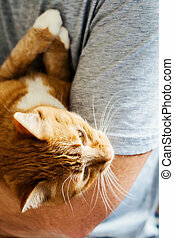 cozy home background with funny pet.